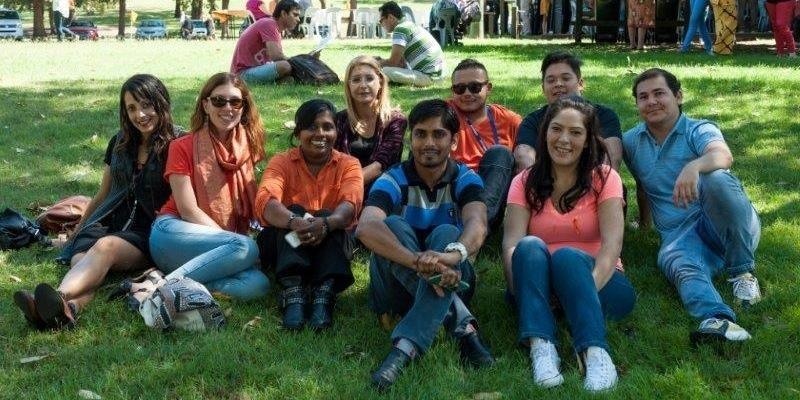 Techfugees Australia is the tech community's response to the current refugee crisis involving a network of concerned individuals who want to help refugees settle happily and more quickly into the Australian community. We’re part of a global movement that started in late 2015 with dozens of events now held around the world. In Australia, we’ve held two events, the first in Sydney (November 2015) and then in Melbourne (April 2016). Many of the solutions developed are now operating as tech start-ups in their own right. Our next Hackathon will focus specifically on hacking the challenges faced by young people (~16 to 24). Of course if you’re older than that we’re still keen for you to participate! Once again, we will bring together developers, designers, entrepreneurs and community members to develop creative tech solutions. It doesn’t matter if you’ve never been to a Hackathon everyone is welcome and you’ll have tons of fun while learning new skills and meeting lots of great people. Hacker Teams will develop tech solutions for young refugee settlement challenges articulated by our partners including Settlement Services International (SSI) the largest not-for-profit humanitarian settlement organisation in Australia. Themes for the Hack will include: *safety and well-being * learning the language * community connections * recognition for prior qualifications * employment * identity and belonging * knowledge of support services. These are very serious and important topics and to ensure we have lots of fun, we will also award a prize for the Hack that makes Sydney more Awesome for Young Refugees, thanks to support from the Awesome Foundation Sydney. The event is supported by City of Parramatta Council and will be in Parramatta, Western Sydney because this is where most refugees settle. There is no cost to participate and wonderful food and snacks will be available all weekend. We are planning to award sensational prizes that help teams complete and launch their solutions including a place at Catalysr, a refugee and migrant incubator, a cash prize from the Awesome Foundation Sydney and a whole bunch of awesome stuff from Academy Xi who provide tech courses for UX, UI, Virtual Reality and more. Stay tuned for more info on prizes! Come make a difference, have some fun, learn a lot and help to welcome young refugees to the Australian community. We will focus specifically on hacking the challenges faced by young people (~16 to 24). Of course if you’re older than that we’re still keen for you to participate! We need Hackers, Hipsters Hustlers and Humanitarians to form teams, as well as mentors to help the teams! Co-Founder at Catalysr | Project Manager at EnergyLabAU | Social Change Maker | Energy Policy PhD Candidate | Climate Reality Leader. Who is your customer (Refugee/Service Organisation etc)? How well does the product fit the needs of the problem the team chose to tackle? How user-friendly is the technology? Is it a complete solution, or do they still have a long way to go? How much impact (quality and quantity) could the solution have? How innovative/creative/unique is the hack? Does the hack employ a new/novel approach to solving the problem? What are your barriers to entry or user adoption? How are you addressing those challenges? What is your rollout strategy? Is it scalable and self-sustaining? How much did they accomplish in the weekend? Did they demonstrate learning from mentors to help inform a better solution? Did the demo test core assumptions? How well did the team explain their solution? How well did the demo communicate the idea?